Even though HSAs have been called “..the most tax-preferred account available and using one to save for retirement medical expenses is a better strategy than using retirement accounts,” data shows that only a small percentage of total HSA dollars (19%) are actually invested. This suggests the vast majority of people may be missing out on potential compound growth. Investing your HSA dollars may require a minimum balance which varies by administrator. Once you meet the minimum balance requirement, you can start exploring the investment options available, which can vary from stocks, bonds, and mutual funds. In the investment world, if you were to ask a financial advisor what the best mutual fund is, most would reply with a series of questions. Those questions help to determine suitability. Instead of asking what the best mutual fund is, the question becomes what is the most suitable investment for your individual situation, based on your time horizon, risk tolerance and investment experience and objectives? When it comes to investments, “best” is a misnomer because it is different for each individual. In reviewing the suitability questions, you can conduct a self-assessment to determine which investments in your HSA will meet your individual goals. Once you have gone through the above questions, you can begin to evaluate the investment lineup offered by your HSA administrator. 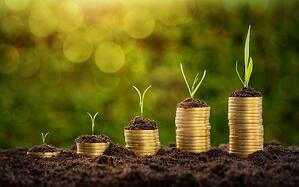 These investments can range from individual stocks to mutual funds. If you don’t feel comfortable making those decisions, you can always consult with a financial advisor. Now that you know what your HSA investment objectives are and what type of investments you want to use to achieve those objectives, you can start evaluating what successful investments look like to you. Most people want to have a return on their investment, it’s just a matter of how quickly they want to achieve that result. Fees matter, because they eat into your hard-earned returns, so that is a consideration. What does "work for me" mean? It could mean strong growth potential, low fees, fits with your individual suitability requirement (i.e. not too aggressive for your time horizon), etc. HSAs are uniquely positioned as a relatively unknown financial vehicle with tax advantaged savings, and your HSA can allow you to compound your growth with investing. Savvy HSA-users are taking advantage of this little-known fact to plan for healthcare costs during their golden years. 1. HSAs are never taxed at a federal income tax level when used appropriately for qualified medical expenses. Also, most states recognize HSA funds as tax-free with very few exceptions. Please consult a tax advisor regarding your state’s specific rules. Investments are subject to risk, including the possible loss of the principal invested and may not be eligible for federal depository insurance by the FDIC or NCUA or guaranteed by HealthEquity. Before making any investments, review the fund’s prospectus.